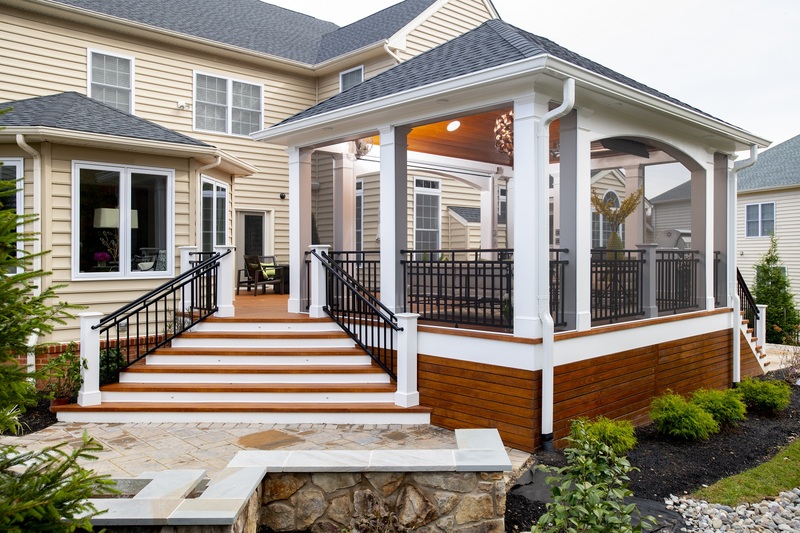 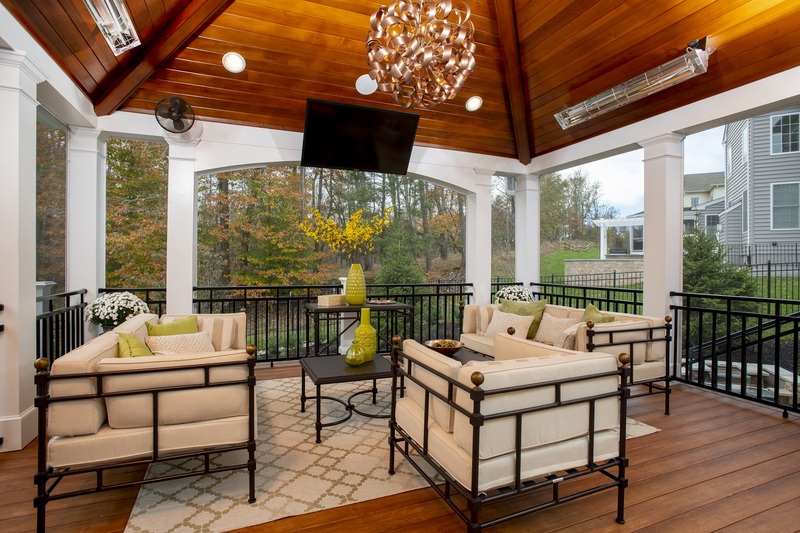 Located in Bowie, Maryland, this home is the ultimate entertaining space that was created by Design Builders with heavy involvement from a homeowner who approached us having a good idea of what he was looking for: plenty of space for entertaining guests outdoors, room for cooking and grilling, and a screened-in area that could keep bugs out in the summer and spring. 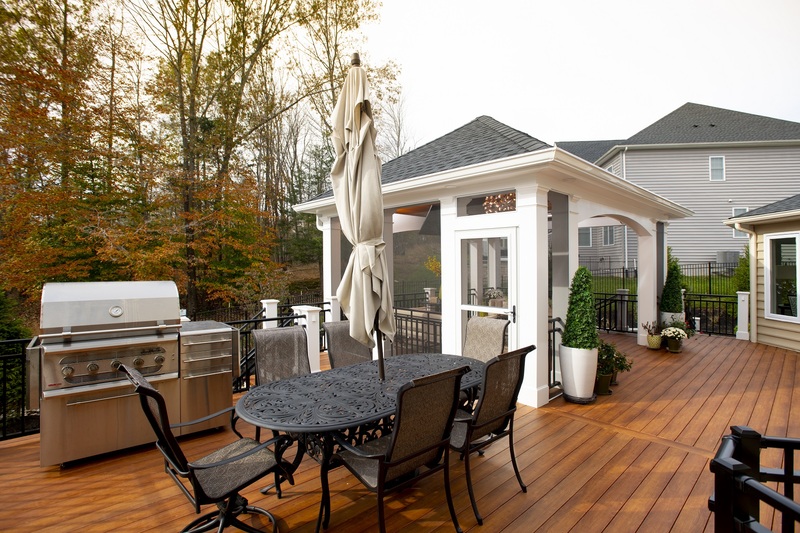 The materials had to be high-performing and low-maintenance, so Zuri decking was the way to go. 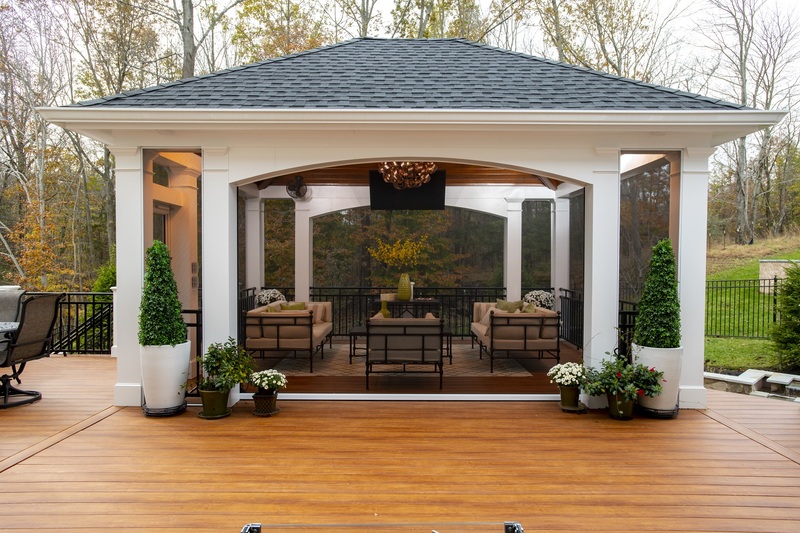 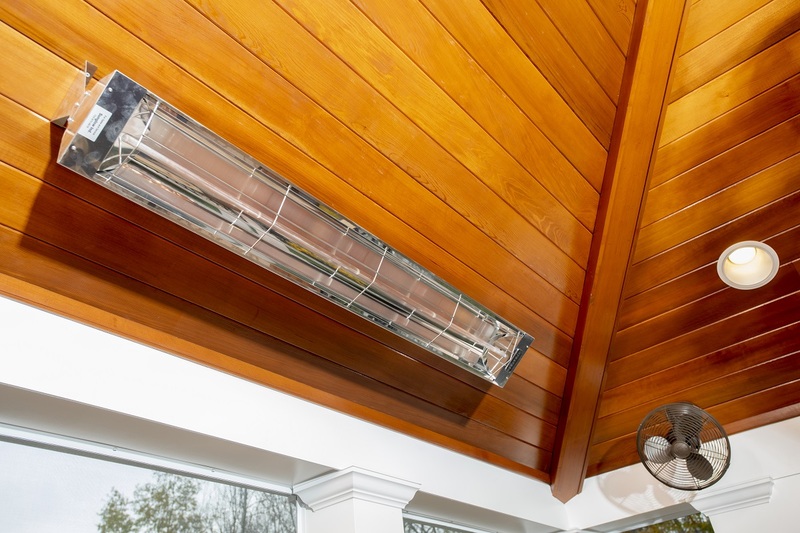 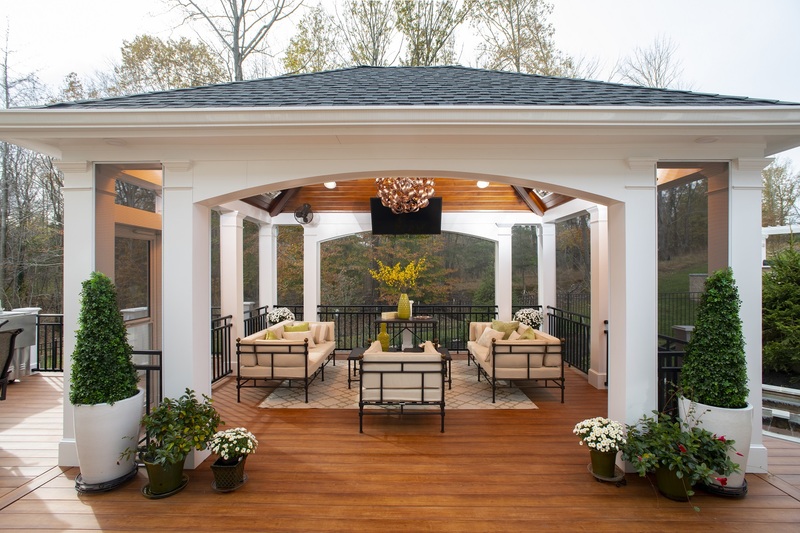 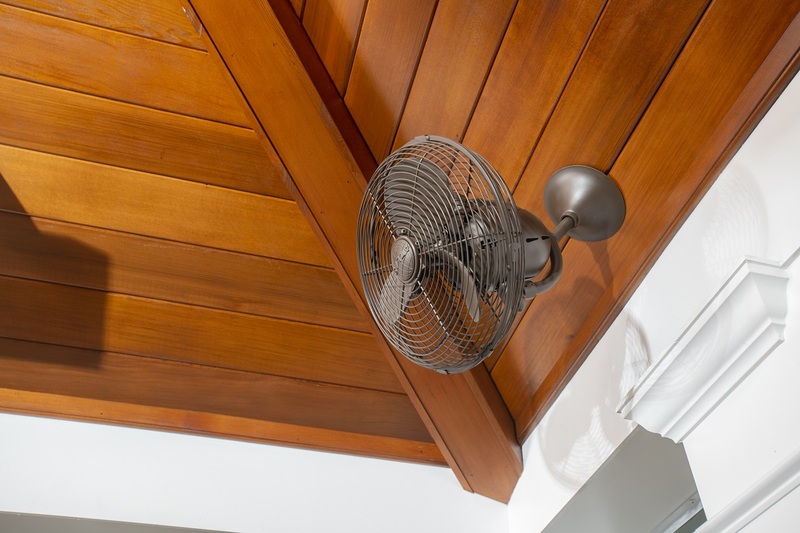 The indoor screened porch, which features a Phantom retractable screen to make it flush with the deck when desired, was actually designed around an artistic piece (seen hung from the center of the hip roof of the screen room) the homeowner had acquired prior to hiring a local deck builder. 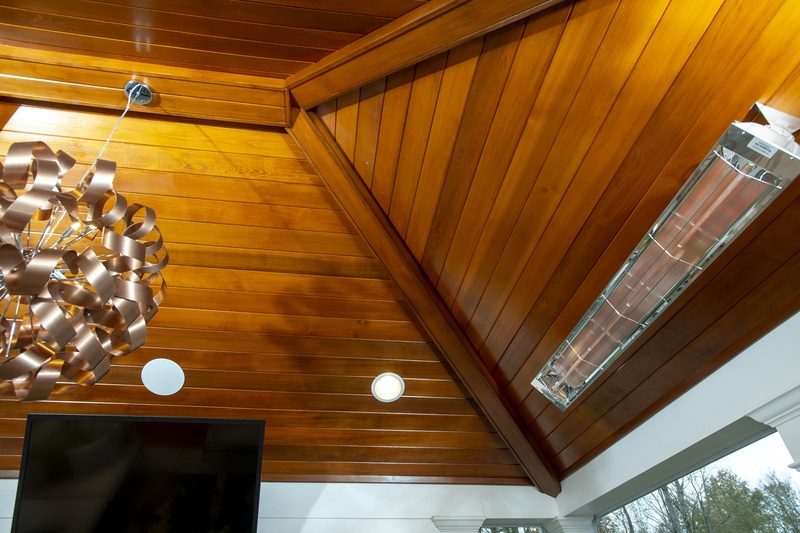 Inside are audio speakers, a SunBrite outdoor television, the artistic installation suspended from the clear cedar ceiling, Brown Jordan furniture, and designer ceiling fans.